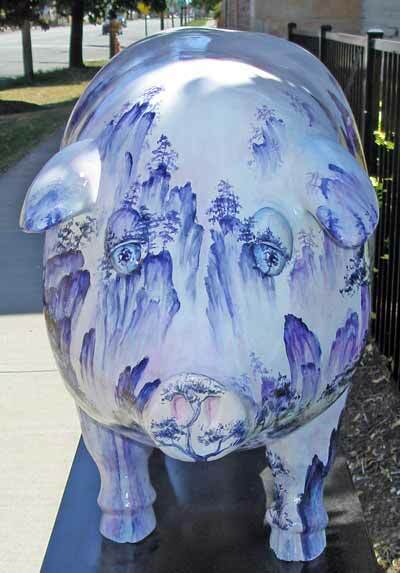 would you find these Pigs? 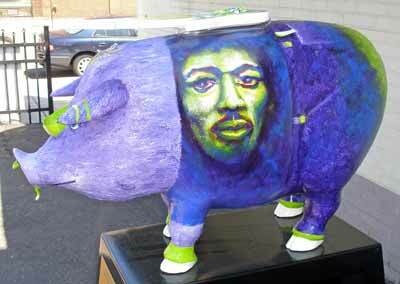 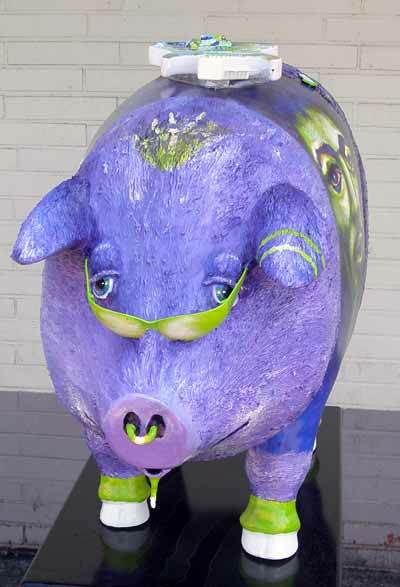 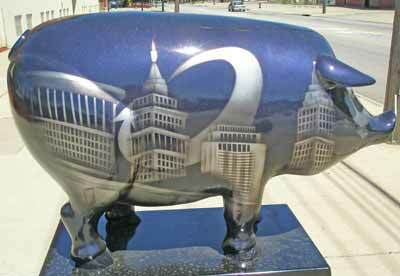 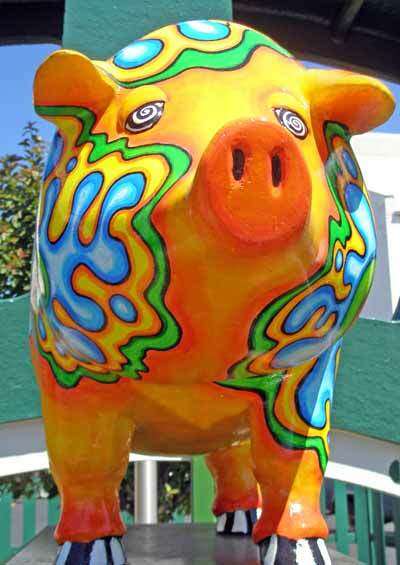 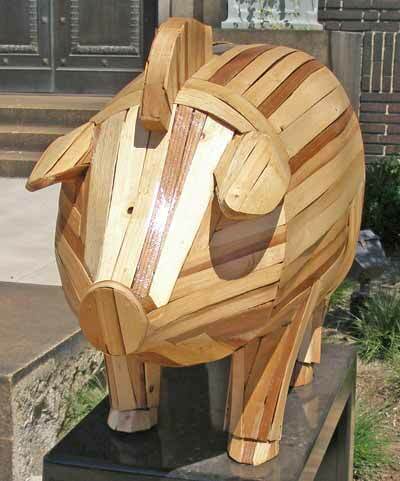 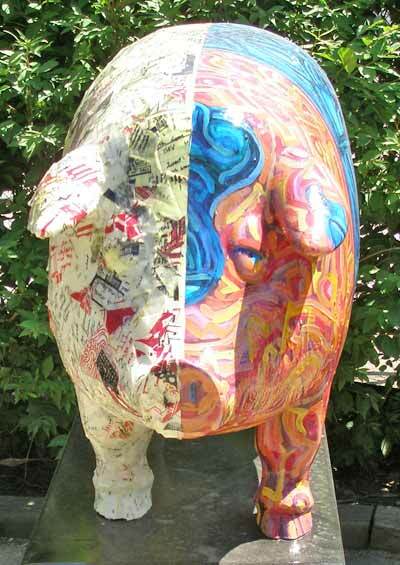 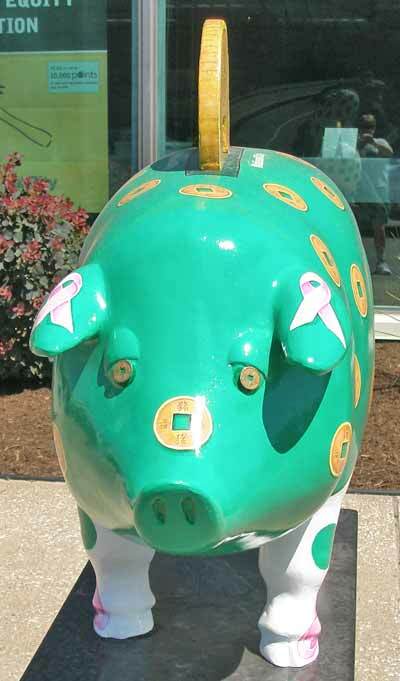 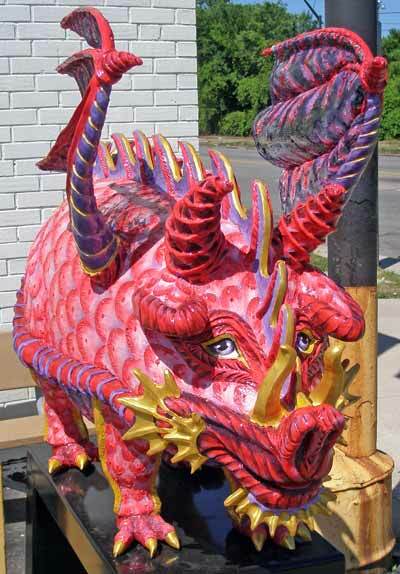 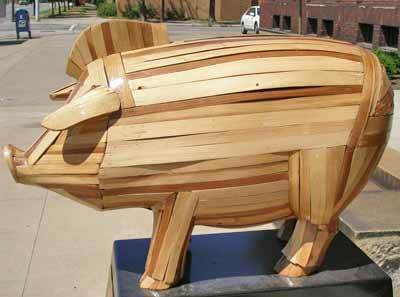 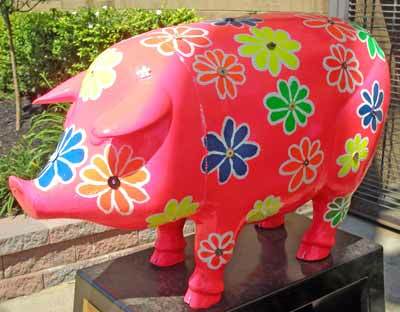 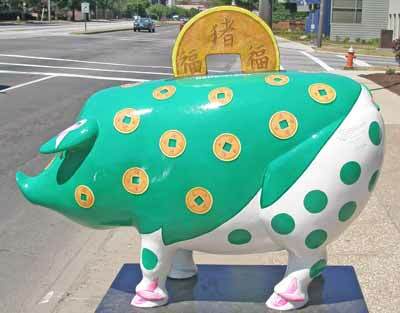 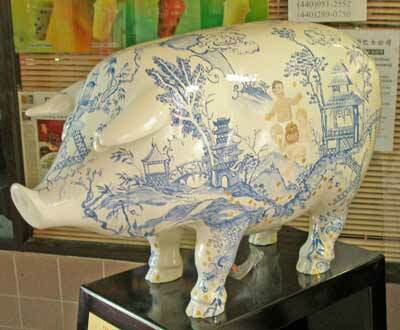 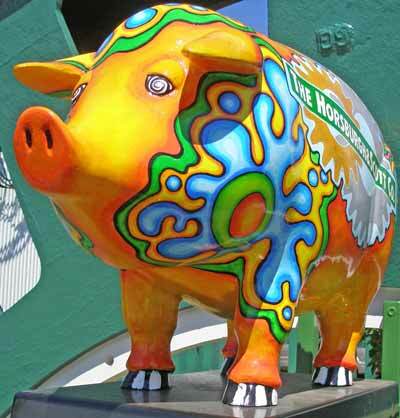 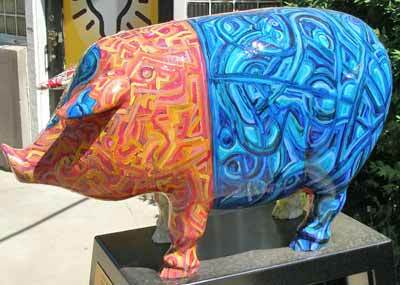 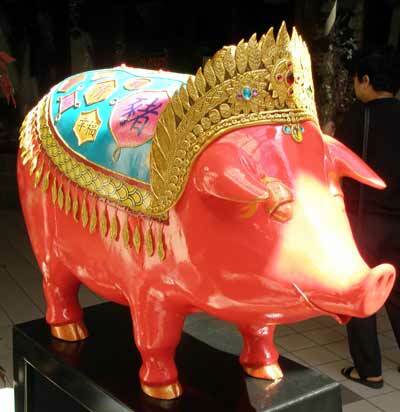 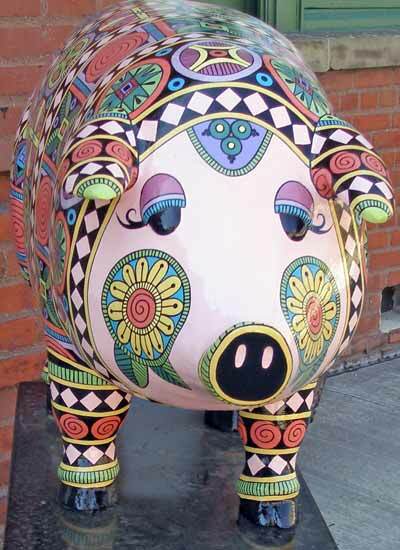 There are 40 life-size fiberglass pigs scattered around town. 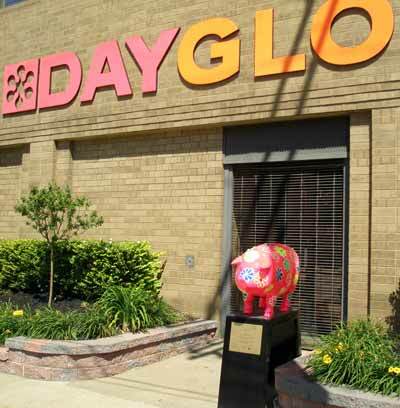 To celebrate the Chinese Year of the Pig, the St. Clair Superior Development Corporation used a design from National Medal of Arts recipient and Clevelander Viktor Schreckengost. 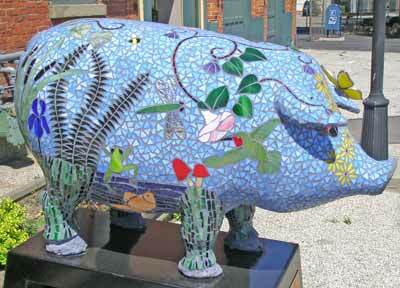 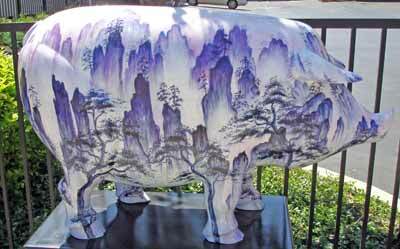 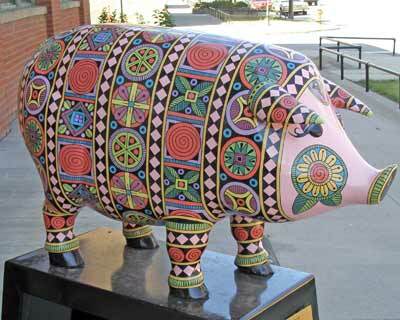 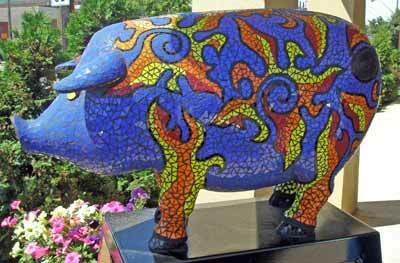 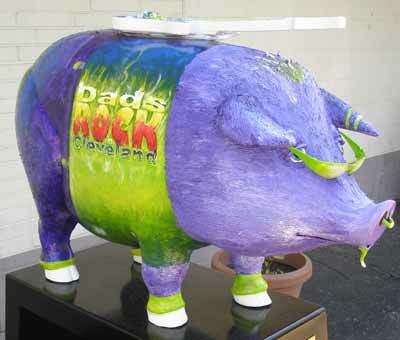 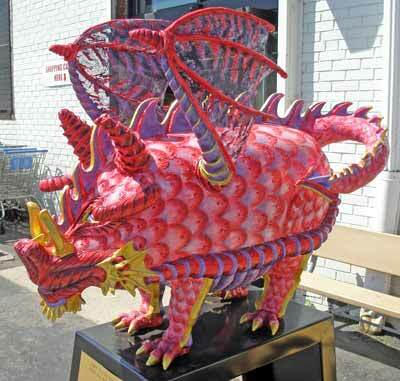 33 different local artists then used their own creativity to design the pig sculptures. 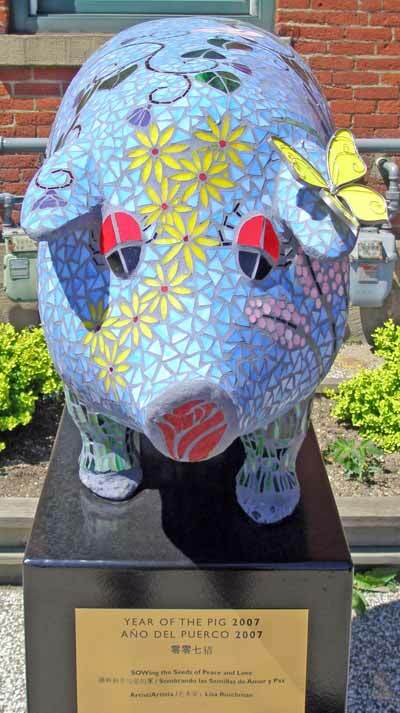 Most of the pigs are in the St. Clair - Superior area but also some will pop up at City hall, the Cleveland Public Library, CSU, the Natural History Museum and up on Murray Hill.